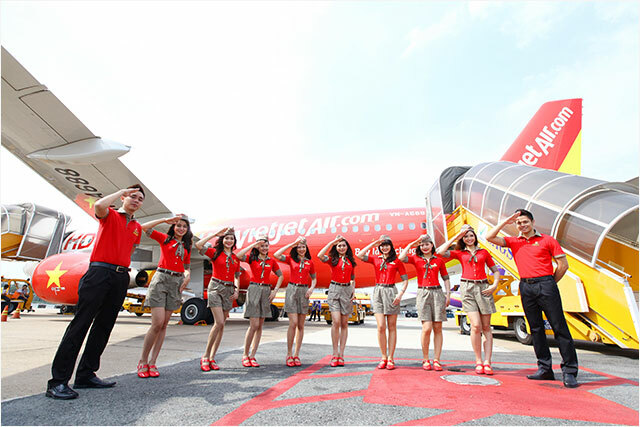 VietJet Air officially launched a direct flight route between Hanoi, Vietnam and Busan, Korea on December 16. The low-cost carrier from Vietnam announced that they will be offering flights between Hanoi and Busan six days a week (Monday, Tuesday, Wednesday, Friday, Saturday and Sunday) in accordance with the growing number of international passengers arriving at and departing from Gimhae International Airport. The Busan-bound flight from Hanoi leaves at 1 a.m. from Noi Bai International Airport in Hanoi, and arrives at Gimhae International Airport at 7 a.m. On the other hand, the Hanoi-bound flight from Busan leaves at 8 a.m. from Gimhae International Airport, and arrives at Hanoi International Airport at 11:05 a.m.
VietJet Air offers a total of four direct routes between the major cities of Korea and Vietnam including the Incheon-Hanoi and Incheon-Ho Chi Min City routes (7 flights a week) and the Incheon-Hai Phong route (4 flights a week). VietJet Air continually plans on inaugurating new routes throughout the Asia-Pacific region including the Ho Chi Minh-Hong Kong and Ho Chi Minh-Kaohsiung (Taiwan) routes in order to expand its network in the region. 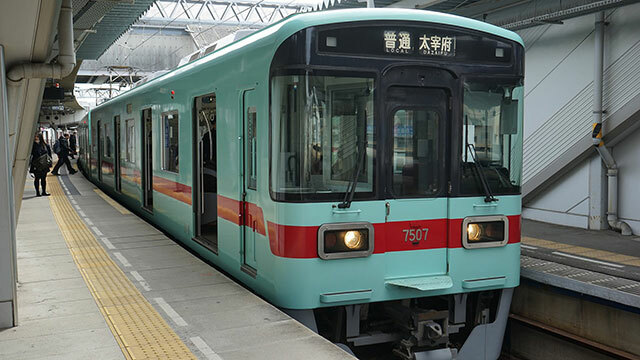 In Fukuoka, Japan, “Marutto Fukuoka,” an unlimited Nishitetsu train and bus pass exclusively designed for foreigners visiting Japan, will be available from January 6, 2017. 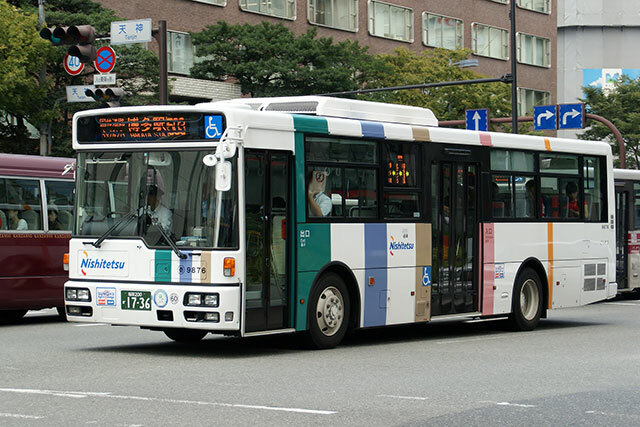 Marutto Fukuoka is a package of “one-day Fukuoka travel pass,” allowing the pass-holder to board the intra-city buses regardless of frequency, and “one-day travel pass on Nishitetsu Tenjin Omuta Line,” which connects the famous tourist attractions in Fukuoka, Dazaifu and Yanagawa. These passes will be available in English, Chinese and Korean. The package costs JPY 2,000 for an adult and JPY 1,000 for a child. Those who purchase the package will be provided with Funpass Fukuoka Vol. 2, a coupon magazine for tourists available in multiple languages, free-of-charge. The coupon magazine presents information on the top-rated restaurants recommended by Nishitetsu and various experience programs such as trying calligraphy and trying on a kimono. It also contains discount coupons for a number of tourist sites, and features sample travel itineraries. Asia’s top Christmas light festival! 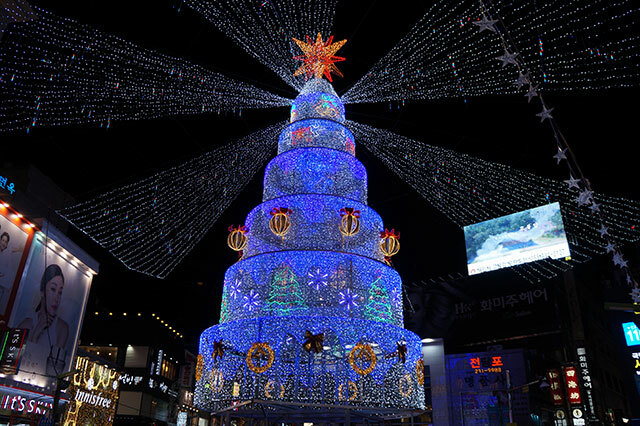 The Busan Christmas Tree Festival is an annual event around Busan Station, Yongdusan Park and the entire Gwangbok-dong Street in time for Christmas. In addition to the splendid illumination and photo zones, there are fantastic programs and events such as a 44-day cultural performance program and experience programs for the public. The Busan Christmas Tree Festival, which will turn Busan into an alluring city for all travelers in winter, is arguably the most iconic winter festival of Korea. A festival that invigorates the old downtown area! 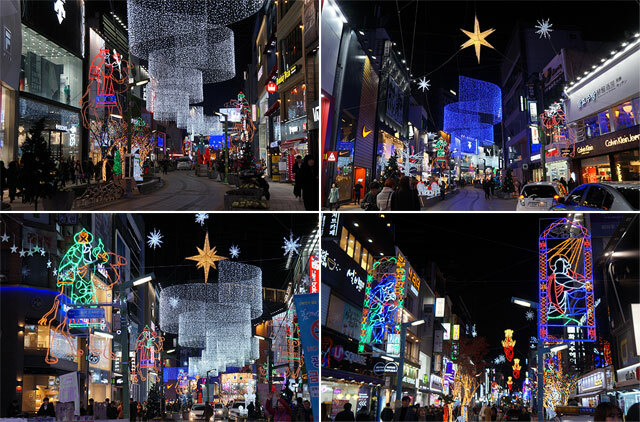 The Busan Christmas Tree Festival, which continues for 44 days in the Jung-gu commercial district, is always filled with much to see, eat and enjoy against the backdrop of fantastic Christmas lights. The festival has been organized to attract tourists to the old downtown area of Busan as a means to liven up the area and contribute to the recovery of the local economy. For years, it has been receiving favorable reviews from domestic and foreign travelers. A festival that promotes peace and reconciliation! The Busan Christmas Tree Festival instills hope into the visitors. People get to enjoy a variety of cultural performances in front of the massive Christmas tree every single day during the festival, take beautiful pictures at the photo zones and make a wish in front of the Make-a-Wish Tree. Anyone can participate in the Chimney of Sharing, Proposal of Love, Love Relay Given Day, Carol Singing Contest, and Daily Lighting Performance. It will offer people a chance to make wonderful memories with the people they love. The Penang Hot Air Balloon Fiesta will be held from February 4 to 5, 2017 in the UNESCO World Heritage Site of George Town, Penang in Malaysia. 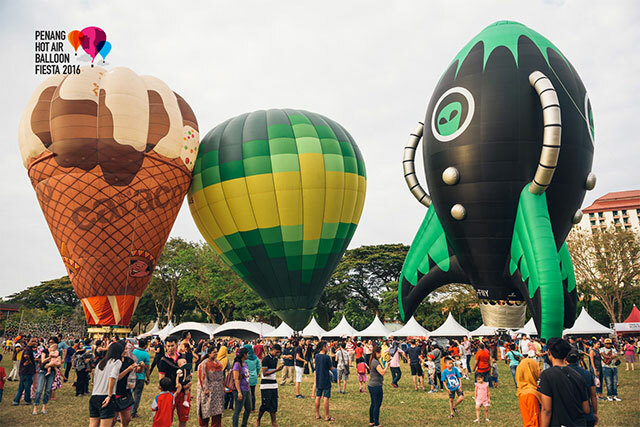 This is the third consecutive year the event is held, and there will be 15 massive hot air balloons in various splendid colors launched into the sky at Padang Polo. 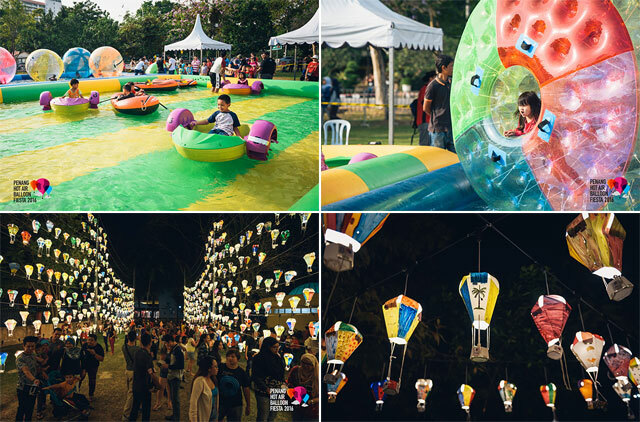 The festival taking place from 7 a.m. until 9:30 p.m. on both days will present a remarkable spectacle against the beautiful scenery of the Penang Island and the UNESCO World Heritage Site. There is especially high anticipation for this year’s event as it is expected that one-of-a-kind hot air balloons will be presented. In addition to the main event, there will also be various other fun and exciting events and programs for people of all ages coming with their family or significant other such as the rubber balloon playground, craft-making classes, photography contest, and food market. The Penang Hot Air Balloon Fiesta is supported by the state government of Penang, City Council of Penang Island and Penang State Tourism Development & Culture. For more details about the festival, check out the official website: http://www.penanghotairballoonfiesta.com. Tenmonkan Millionation is a large-scale event where around 1 million LED lamps are used to illuminate Tenmonkan, Kagoshima’s largest downtown area. In the year 2017, it will take place from January 6 to 31. 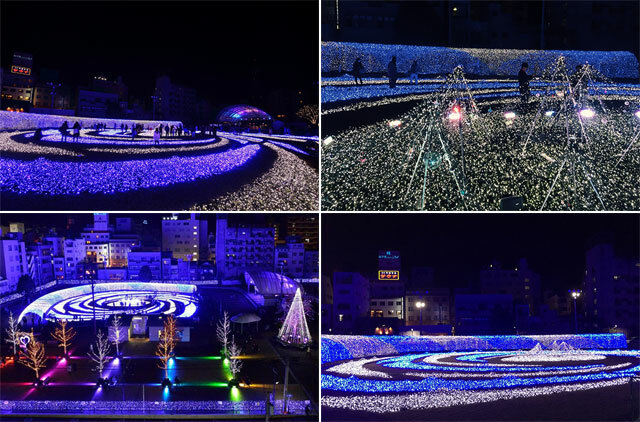 At the main event venue, Tenmonkan Park, there will be the Cosmic Square, decorated with around 600,000 blue and white LED lamps, the Tunnel of Light, which is about 80m long, and the Fantasia Train (requires ticket purchase). Tenmonkan Millionation will present you with a chance to feel as though you are surrounded by a whirlwind of stars and galaxies and create unforgettable memories with the people you love. The 2017 Hainan International Tourism Trade Expo is scheduled to be held from January 12 to 15, 2017 at Beauty Crown Grand-Tree Hotel. The expo will be co-hosted by the Commerce Department of Hainan Province, the Municipal People’s Government of Sanya City, the Foreign Trade Development Bureau (Ministry of Commerce, P.R.C), and the Hainan Sub-council of the China Council for the Promotion of International Trade, supervised by the Hainan Province International Tourism Island Convention, and sponsored by Sanya Beauty Crown Cultural Exhibition Center. Held under the theme of “Hainan: Mutual Cooperation by the Economic, Trade, Tourism and Culture Sectors,” the 2017 Hainan International Tourism Trade Expo will be held at an exhibition area covering 55,000? ?, which is considerably larger than last year’s 45,000? ?exhibition area. The expo will largely be divided into three programs: exhibition, conference and festival. For the first time, the international exhibition booths and the provincial and municipal exhibition booths will be set up at the same time. The exhibitions include the National Agenda Economic and Trade Exhibition, Service Trade Performance Exhibition, International Tourism Island Economic Trade Exhibition, Pacific Rim Contemporary Art Exhibition, Hainan Tourist Souvenirs Exhibition, Hainan Island Gourmet Culture Festival, Idea Products Market, Imported Products Exhibition, International Camping Car Exhibition, and International Tourism Island Real Estate Exhibition. After the expo is kicked off with an opening ceremony on January 12, a total of 25 meetings and conferences in various scales including the China (Hainan), Middle East and Europe Cooperation Meeting and the Hainan International Tourism Island Business Forum will be held. The China (Hainan), Middle East and Europe Cooperation Meeting will serve as an important platform for enhancing the international relations of Hainan and powering the economic development of the province by promoting mutual cooperations in the Internet, convention, healthcare, and high-tech industries. In addition to the main event, there will be a number of diverse festivities such as a flower-decorated car parade, duty-free shopping festival, national anthem-themed performance, large-scale auction, and sand art fair. 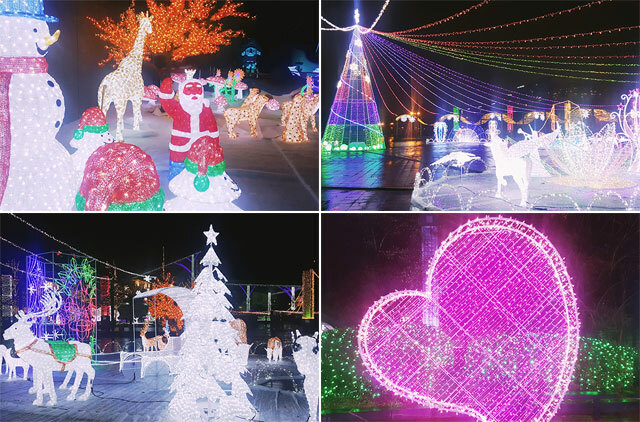 The Goyang Light Blooming Festival 2016 presenting a fantastic panorama of lights in wintertime is taking place at the Ilsan Lake Park in Goyang, Gyeonggi-do Province in Korea from December 16 to January 8. When darkness sets in, the square of the Goyang Flower Exhibition Center, thematic park and the Metasequoia Trail at the Lake Park transform into a world of beautiful “flower lights” that makes you forget about the cold weather. Once you enter the festival venue through the 40m-long golden light tunnel, you will get to see a massive colorful tree model and diverse animal characters amidst the trees that are decorated with fantastic lights. 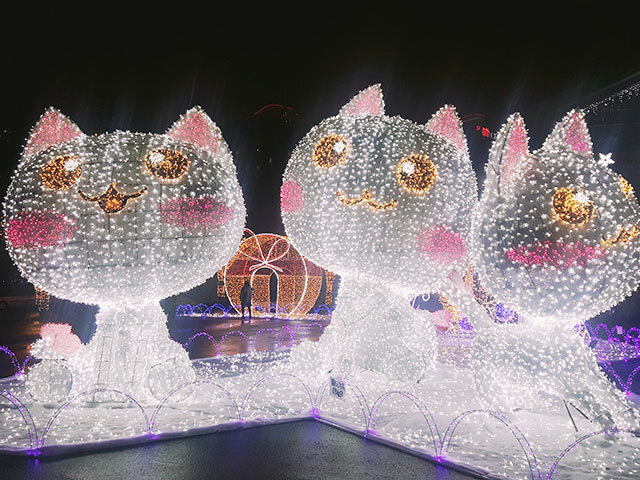 A family of illuminated cats welcomes you at the square of the Goyang Flower Exhibition Center, where you can enjoy 200 LED roses and fireflies creating waves of green colors. The flower and tree illuminations lift the darkness from the lake and present an exotic sight that will instantly take your breath away. At the Candle of Hope Garden, created with a massive candle and 3,000 LED candles, you can write down your wish on paper and stick it on the massive candle. The indoor exhibition center presents a fairy tale-like world with flower illuminations for children. Awaiting young children are Santa Claus and fairies, as well as a fun maze. Performances of the “Fart Master Ppungppungi” and “Dingdongdaeng Kindergarten Ttuang” and the indoor air bounce play area make it a perfect place to visit for families with small children this winter. At nighttime, the indoor exhibition center is converted to performing places for an exciting musical and a belly dance. Also you can enjoy delicious foods and beverages such as roasted chestnuts and sweet potatoes, traditional Korean pancakes, chicken and beer. There will also be a jaw-dropping fireworks show for three nights: December 17, Christmas Eve (December 24) and New Year’s Eve (December 31). The performances for children will be given from 11 a.m. until 5 p.m. on weekdays. Admission fee is KRW 8,000 for a child and KRW 6,000 for middle school students and older. Admission into the venue is free-of-charge from 6 p.m. until 10 p.m. on weekdays and from 6 p.m. until 11 p.m. on weekends. Meanwhile, the lighting ceremony of the Goyang Light Blooming Festival 2016 was held at the square of the Goyang Flower Exhibition Center at 6 p.m. on December 17, along with an LED lamp performance, a performance by the Goyang Civic Choir, and a fireworks show. The festival will continue until January 8 next year. The 2016 Taichung International Flower Carpet Festival is taking place at Huatien Green Park in Houli District, Taichung from December 24, 2016 to January 8, 2017. The festival kicked off under the theme of the “Paradise of New Flowers” at Huatien Green Park this year to promote the Taichung World Flora Exposition, which will take place in 2018. In addition to a flower exhibition, the festival presents a carousel and a circus that travel along a track at the beginning of each hour as a way to present new dreams to young children and cause their imagination. Huatien, which has been transformed from a landfill to an eco-friendly park, will be reborn as the venue for the Taichung International Flower Carpet Festival. The theme “Paradise of New Flowers” was given to the festival, combining “leopard cat” and “paradise” because Huatien is a habitat for an endangered species of leopard cats and has Lihpao Land, the largest amusement park in Taiwan. The visitors will get a chance to create fun and precious memories in the paradise of flowers.